This tea is great for anyone with that throat that feels like you swallowed glass pieces and you could heat the entire house on your own without the furnace. We’d call this the wind heat type of common cold in Traditional Chinese Medicine (TCM). Chrysanthemum flowers are considered sweet and bitter in property and cooling in nature. This makes them for heat type conditions. They are also great for soothing the eyes and heat in the liver system in general in Chinese Medicine which makes them good for hypertension, dizziness, irritability or conditions when you’re feeling ‘hot and bothered’. Goji Berries – often used to strengthen the kidney yin, build the blood and nourish the eyes in TCM, goji berries are also high in vitamin c, antioxidants, and other nutrients making it a super powerful food to help keep you strong and boost the immune system. It is considered neutral in property, which makes it great for either a wind cold (chills) or wind heat (fever) type of cold. Peppermint. Not only a soother for mind and stomach, peppermint has naturally cooling properties and work on the superficial conditions in the body which makes it great for the common cold that has heat signs (or as we like to say in TCM lingo – “wind-heat attack” which has a nice dramatic ring to it which is fitting when you’re on the couch feeling like you were just attacked by energy sucking bandits!). Fever, headache, sore throat and cough are some of the prime signs for using peppermint. Green tea has many wonderful properties and many healing benefits. It is rich in hundreds of vitamins and minerals and touts many antioxidant, anticancer properties in addition to helping with cholesterol and digestion of fatty foods. In property it is more cooling than black tea and it is this cooling property that makes it a great addition to this cooling tea to help clear some of those heat signs. It’s also helpful to give a little boost of energy when you’re feeling beat up from a cold. If you’re having this tea later in the evening, you might want to skip the green tea if you’re sensitive to caffeine. Kudzu root – Often used as a thickening agent in Japanese cooking, kudzu looks like a chalky rock or stone but can be crushed to powder easily. It is found easily in many Asian stores or natural food markets. In TCM we classify it as a cool sweet and pungent root and it is excellent for the stiffness and aches associated with a cold or flu. We say it releases muscles, clears heat, releases wind (think sneezing) and helps to generate fluids (which is helpful for all the fluid escaping through your nose!) Kudzu can be mixed with warm water on it’s own if you’re particularly achy, or added in to any tea. Boost your qi, build your blood and kick that cold to the curb broth. 6 cups Chicken bone broth (see below) -You can also use regular chicken stock for this recipe if you don’t have the time or broth ready. And for vegetarians, see below for another option. Place ginger, onions, garlic and mushrooms (if you choose) in a pot and add a small amount of broth. Simmer until ingredients are softened. Add the rest of the stock and bring to a boil. Reduce heat to a simmer and cook for 20-30minutes. Sip on broth throughout the day and feel better! Bone broth is incredibly easy to make and just takes a bit of time, but not a lot of energy. If you have a slow cooker that’s great or I would just let my broth simmer on the lowest setting possible on my stove overnight to get the same affect. Ingredients: Organic chicken bones simmered for 24 hrs with a tbsp of apple cider vinegar. For one pound of bones you need about 12- cups of water or just fill the pot to cover the bones instead of measuring it out. Once it has simmered for 24 hours, skimming off the fat and oil on the surface, strain and store in glass jars or freeze for later use. Vegetarians you can make a vegan “bone broth” using vegetable stock or the ends of your veggies simmered for 8-10 hours and adding things like seaweeds, mushrooms and miso to beef up the nutrient content. Garlic is shown to have the lovely perk (in addition to tasting great) of being antibacterial and immune boosting. It is considered warm in Traditional Chinese Medicine food therapy and is great for reducing swellings, removing toxicity and carcinogens, strengthening the digestive system and moving our qi! Green onion/scallion is also considered a warm and pungent herb, which makes it great for getting rid of ‘superficial’ conditions (aka: the common cold) that are cold in nature (those chills!). It can be eaten cooked or raw and adds a great flavour to foods and works really well in combination with ginger for that warming action. Astragalus Root – This powerful herbal tool is easily found at your local Chinese market or herbal store. It has sweet and slightly warm properties and has great immune boosting properties. We say it works on the Lung and digestive systems in TCM and has great Qi (energy) boosting properties to it. It’s great for someone who seems to get sick all the time or has a lingering cough or just can’t seem to beat their cold. Cold and flu season is upon us and as hard as we try to stay healthy, most of us get run over by a cold at some point or another during the year. Having a cold isn’t a ‘bad’ thing (although it doesn’t feel great! ), sometimes it’s just your body’s way of detoxifying and getting a bit of much needed r & r and couch time. If you do find yourself sick this winter, here are a few home cures to help you heal and clear some of those nasty symptoms as fast as you can. We say there are a few types of common cold in Traditional Chinese Medicine but there are two very common ones in the cold winter months: wind-heat type and wind-cold type. The wind-heat type will present with fever or just feel really hot. 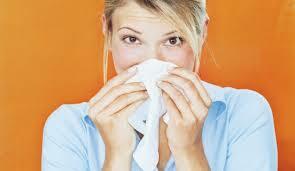 You might get chills and have a sore throat, stuffy nose with thick yellow mucus. When you have this type of cold, you want to treat it with cooling foods and herbs (like mint, lots of fluids and lightly steamed or cooked simple foods) and avoid anything hot or spicy (such as ginger, garlic or spicy foods). The wind-cold type will present with definite chills and a feeling you can’t get warm, sometimes it has a mild fever sensation, body aches, headache and a nose that runs like a faucet with a clear watery discharge. With this type you want to just the opposite to the heat type and make sure you have warm cooked foods and include lots of warming teas and soups full of things like ginger, green onion or garlic. It’s important to treat the type of cold that you have as adding more heat when you’re already suffering from a burning throat and fever can actually make things worse. It’s also not uncommon for a cold to switch from one type to the other, so just listen to your body and take the care needed. I’ll included two types of at home cold cures for you. Some of the ingredients might not be things you regularly stock at home, but if you can seek them out when you’re healthy and have them in your pantry, you will have them right there when you need them. Wishing you a happy, healthy, cold-free winter! Also be sure to check out the change of season soup recipe here and natural cold and flu prevention here to help keep you healthy all year long! As we are fully immersed in the holiday season, the feeling of gratitude is easy to conjure for many –being surrounded by love ones, embracing the giving spirit and helping those in need or giving back to the community. But for many, the holiday season brings about less open hearted feelings and can be a time of discomfort and despair bringing up painful memories or just being overwhelmed by the busyness of the season and the pressure of commercialism. No matter what the holidays bring up for you, the act of cultivating gratitude can be a helpful, healing and transformative exercise. Transforming the loneliness or painful memories by drawing attention to simple things that you do have and that make life rich – living in a free country, food in the fridge a warm bed at night. If you’re already feeling a sense of wonder, joy and connection, you can simply expand on that and spend some time pulling people or situations to mind that expand that feeling inside. The love for the people in your life, gratitude for what life brings or the satisfaction of living a life you love. 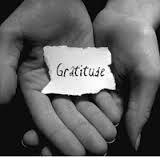 Gratitude is a relatively simple exercise that is accessible to us at any time. Not only can it shift our mood, but also has considerable health benefits. Everything from feeling more optimistic towards the future, to better sleep, a bolstered immune system, decreased stress and the natural inclination to give back just to mention a few. But being grateful isn’t something that always comes easily. I for one can fight it scratching and clawing at times in my life, particularly if I’m feeling deflated, exhausted or just focused on something that’s not going the way I want. At those times, if I can just settle into what I DO have, what IS going right, slowly but surely, things shift. I remember seeing Thich Nhat Hanh, a Zen Buddhist monk, speak at a retreat a few years ago, and he continually said that at every moment, no matter what our circumstances, we have something we can be grateful for. At some moments it can be the sheer abundance of life and the amount of love and support in our world. Those are lovely. At others it drops down to the basics of I’m breathing, I’m free, I get to sleep in a safe place at night, I can walk. I had a friend who suffered a tragic biking accident a few years ago crushing her cervical spine leaving her a quadriplegic single mother of three. The list of tragic horrible things that that could bring up are long, but I remember talking to her right after and one of the first things she said was that while she was lying there, she wasn’t thinking about whether or not she could walk again, she was just so happy to be alive. Alive. We are all alive. That is something to be grateful for. Try a gratitude journal making a point to document at least one but ideally 3-5 things you are grateful for each day. Try starting and ending your day with that. If you’re feeling overwhelmed or particularly glum, take a moment pause and feel a breath. Go back to the basics of just being alive and being able to get around on your own walking if you can. If you’re healthy, really think how amazing that is. Give back. There are many people less fortunate or who need extra help. Studies show that those who help others get a boost of happiness and joyful feelings. In addition it helps us remember what we DO have and all the things that we have to be grateful for. Say thank you (and mean it)– when we receive and acknowledge gifts from others (even if it’s just someone opening a door for us), it helps us foster that gratitude inside. Tell someone you care about them. These simple things, done daily can drop us into that gratitude filled state and as a result, help us be happier, healthier and less stressed. And who doesn’t need that during the holidays…or any time really! Wishing a peaceful, happy, healthy holiday season and an abundant gratitude filled new year. Recharge, Relax, Restore -Costa Rica Retreat! 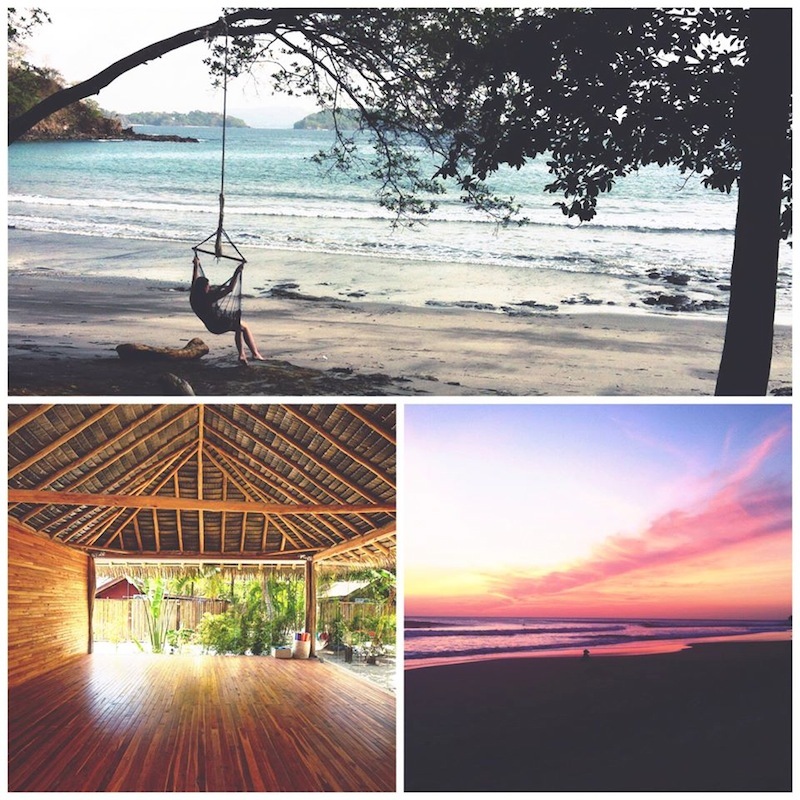 Angela Warburton, TCM and Kim McBean, Yoga Instructor have teamed up to create a magical seven day retreat in Playa Grande, Costa Rica. Combining daily yoga, fresh & local food, breathtaking sunsets, and relaxing peaceful beach vibes with the beauty, wisdom and healing power of Traditional Chinese Medicine, Kim and Angela offer this as an opportunity for rest, unraveling, inspiration and rejuvenation this winter. This co-creative partnership between Yoga and Traditional Chinese Medicine offers a unique opportunity to learn not only about the medicine but how it applies to you specifically but also compliment it with both active and yin based practices to put the medicine into movement. All infused with LOTS of time to relax and enjoy the beautiful surrounding and the warm Costa Rican hospitality throughout the day. As a part of this retreat, Angela will guide a five part series on the 5 elements and how they apply to all aspects of life – lifestyle, environment, body, mind and spirit. These teachings and practices will offer ways to help recognize the subtle ways in which our body speaks to us and simple foods and strategies to help bring the body back into balance. Kim will lead yoga segments to compliment and build on the teachings each day in a more active morning flow and a restorative therapeutic afternoon practice. The mission is to help you unwind, recharge, but come away a little more empowered about the wisdom and information your body provides every day…in an absolutely delicious setting. In addition to the five part series, each participant can enjoy up to three group acupuncture sessions to help de-stress, align and recharge if they choose. Chinese Medicine is a complex, yet surprisingly straightforward and logical system of understanding the body. Blended with modern science we are able to see how this ancient wisdom plays out in the modern world. And, by using this simple but powerful system of healing, we can then understand our bodies and thrive in a very deep and profound way. It’s not about fixing things, it’s about healing at your core. Mind. Body. Spirit. Details: Call 416-324-8888 for more details on how to book! Early bird discount! Book on or before December 31, 2014 for these special rates. Add $150 thereafter. A $500 non-refundable deposit is required to secure your spot. Balance to be paid in full by January 20, 2015. Learning how each organ system, when in balance, allows seamless flow of energy, healthy moods and general vitality in life. When out of balance, will show up in multiple ways: body, mind, and spirit, giving signs and showing clues constantly. Learn how even the colour you are drawn to wearing regularly can be an indicator of what system is out of balance. Everything from our ability to make decisions to our sleep patterns and our nail health is a sign of how your body is ‘talking’. Learn which system influences the health of our skin and hair as well our ability to ward off colds and flus. Learn how bruising easily may also be a sign of poor digestive health. Learning who will benefit from raw foods and those who simply can’t digest them by simple signs that show up in your mood, temperature and bowel patterns. The RipJack Inn, is a family-style boutique hotel nestled amongst the palms and tropical flowers and located just behind the main surf break. Rest, unravel and rejuvenate this winter as you soak up the sun and sea with great friends and beauty abound. Pura Vida! Yoga classes will be a mix of dynamic flow, restorative and therapeutics with a theme woven into our week, allowing for deeper growth and transformation. In your spare time, choose an activity, read a book by the pool or nap in a hammock. Reconnect to nature. Mmmmmm Love In A Cup! As the leaves fall, the nights get frosty and the first flurries of the season come, the call to the warm and cozy is loud. By switching up our beverage of choice to a more warming and spicy blend, not only do we nourish our spirit and that cozy craving, we’re also starting to build the heat (or yang energy) so needed to balance out the cold of the winter months. This warm spicy almond drink is super easy to make and smells divine when simmering which adds to that cozy factor. Learn a bit more about what the medicinal properties are in this magic cup o goodness at the bottom of the recipe. Yum! 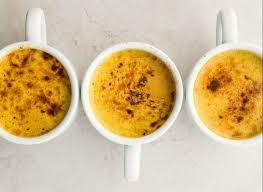 Cinnamon is super warming and so good to help you warm up. Cinnamon bark is great for blood circulation and for those achy chills, cinnamon is great for releasing that muscle ache! Turmeric – Oh the love I have for turmeric! Not only is it great for circulation and breaking up accumulations in the body (think arthritis and cancer!) but it’s also a great detoxifier and wonderful for anyone with a damp congested blocked feeling. What this means is that several people might come in with the same western medical diagnosis, but the underlying pattern is actually different for each person. Which means, you have to treat each person uniquely even if they have the same western diagnosis label. Conversely, several people can come in with vastly different western diagnosis (high blood pressure, endometriosis, PCOS, breast cancer etc.) but their underlying pattern or root pattern is actually very similar. Therefore points used or some dietary suggestion might be quite similar for them. This might sound strange, a bit absurd to some, but when you actually break symptoms down and look at the body as a whole (and apply it to the patterns of TCM that evolved over thousands of years of observational medicine), it makes a lot of sense. We look at every aspect of the person in order to get a deeper understanding of what is off balance. From body temperature (are you hot all the time, does it come in waves of heat, are you cold or just have cold hands and feet, do you get night sweats but are ok in the day), your sleep patterns (waking early, having trouble falling asleep or waking to go to the bathroom throughout the night are all different patterns) in addition to assessing your digestion, your mood, your reaction to certain weather conditions (think things that get worse in rainy weather or feel better with heat or worse with cold). Every little bit of you is sending out a message and giving a signal as to what’s going on internally and where internal imbalance lies. With many conditions or diseases, there are a few common patterns that show up consistently with people. This is true for Polycystic Ovary Syndrome (PCOS). With PCOS we often see people falling into a “stuck” pattern (Liver qi stagnation), which basically means things aren’t moving as well as they should be and there is a bit of a circulation problem. If someone falls into the category, they would feel things like painful periods or cramps, irritability, periods that are irregular or a secondary type amenorrhea (meaning they had regular periods, but then they stopped). This type might also have headaches that start at the base of the skull in the occiput area. These people are often prone to constipation or will often alternate between constipation and looser stool. This pattern is seen a little more in our busy stressed out modern day culture. Typically with stress reduction, changing the diet to avoid greasy, fried or process foods, eating smaller more frequent meals, avoiding late night eating as well as some acupuncture and herbs are often enough to get things move fairly quickly. Another common pattern we see with PCOS is something we would term as dampness or phlegm which tend to be congesting and blocking substances in the body . Just think how heavy a towel feels when it is soaked with water compared to how it feels when it’s dry. This is how ‘dampness’ and phlegm exists in the body, it makes things heavy and will tend to block things or make it hard to move through. Just think how hard it is to breath through your nose when it’s blocked up or congested. The damp or phlegm condition can come from a few causes one of which is improper diet. Things such as dairy products, overly sweet foods or too many refined carbohydrates tend to have this effect on the body. Also eating too many cold, frozen or raw foods can cause or digestive system to be less effective in processing food which can lead to looser bowels and often this ‘damp’ state. Also overeating literally creates a queue of food in the digestive tract, which can cause things to stagnate and often exacerbate this pattern. We call this “yang” energy in Chinese Medicine and it tends to show up in the leutal phase of the cycle, which is when temperatures typically rise in BBT charts. 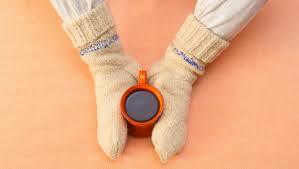 People with this pattern will often be colder than most, particularly their lower body and feet. They might be prone to waking through the night to go urinate or in extreme cases have to wake early for a bowel movement. These people might be prone to lower back pain or knee pain or have trouble with their ears and have paler skin and have trouble loosing weight to name a few things. These ‘cold’ type or kidney yang deficient type in TCM terms, do best with warm cooked foods and warmer spices like dried ginger, cumin and cardamom. Slow roasted foods are best and they should most definitely avoid raw cold uncooked foods. Staying warm is key and moderate exercise is also great to help heat the body and move the energy but also make sure not to over do it. There is a lot more to Chinese Medicine and it’s always best to seek out the advice of a practitioner for insight into your particular case, but if you’re someone who has been diagnosed with PCOS or you’re presenting with similar symptoms, this might offer you a little insight into how to look at your body in a different way and modify your diet and lifestyle to help heal YOUR body. It’s summer: Iced drinks for everyone…Or NOT!